the Glam! Zombie Apocalypse Surviver collab (closed) - Page 6 - GLAM! 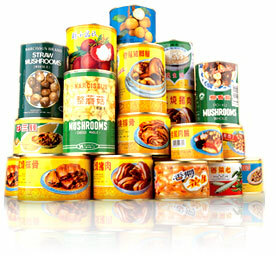 Food in cans, like this. You could just do a cardboard box with a few cans peeping out of the top. and here's the supplies. The large one is for our fearless leader, the single for anybody who wants one. MRE's it is! You don't need to do water if you're gonna do that instead. my friends saw my dolls and really wanted one done of them, so would if be okay if the dolls i made of them were added? the one has little gas tanks (i'm still working on my box of weapons, and the duffle bag of rifles) and the other is like a nurse person. If there is still place for an additional survivor.. Id like to join... I have lots of ammo and ready to kick zombie tooshie. Got ya! Thanks for joining. Here she is. I like how this turned out. Next Ill work on the ammo and post it. p.s. : check out the killer hello kitty shotgun >.< love how it turned out. OMG I loooove your doll! The Hello Kitty shotgun is super awesome! Great work! Love her little pigtails and her expression. finally finished putting dirt on her. shes ready to go now. She looks great! And, as you wish. You don't have to, but, you know, if you feel you want to. I love all the tears and dirt and blood on her. Looks really cool. the weapons bag for my doll, the gas tank and first aid kits to go along with my friends dolls! hope these two extra dolls are okay too, my friends really wanted one! hahaha, this collab idea is awesome. Okay, up to date! Everything looks amazing, guys. I love the two extra dolls, they're so pretty. sooo.... i can somehow manage to pixel a generator but not a ham radio? makes no sense to me either. it may be because my dad has a generator so i pixelled from memory instead of ref photos. anyway. i come bearing gifts. *sigh* the ham radio may take a... while. This is fine; you really don't have to do any more! A generator is more than enough, I would say. Plus the radios look great. I am very happy to hear that you will be working on it! Chicken art is always good. But don't worry, if you do end up needing an extension, it's fine. I'll be working on mine soon...I'm sorry for the delay but I'm in Virginia where we had all those power outages. My house is still has no power, so as soon as it's up (hopefully soon) I'll be on it.